CONCORD, NC - With the 2017 racing season rapidly coming to a conclusion, World Karting Officials are busy preparing for the beginning of the 2018 national season, which, in comparison to most other forms of motorsports, begins before the previous calendar year comes to a halt. 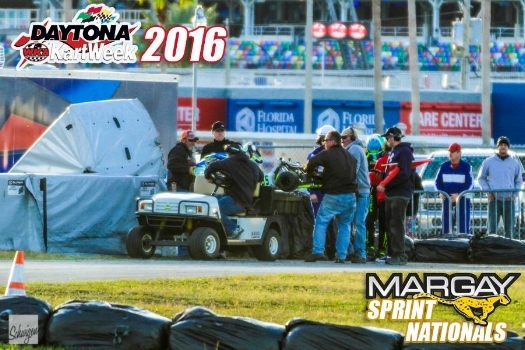 WKA and Daytona International Speedway Officials, as well as other groups involved in the December spectacle, have already begun discussion on the latest edition of Daytona KartWeek. At present, the various Competition Committees for the Bridgestone Manufacturers Cup Series, Dunlop/Xeramic National Road Race Series presented by Russell Karting, and Speedway Dirt have begun not only the process of finalizing class structure, but also nailing down the 2018 national schedule. As always, Daytona KartWeek will get underway December 27 with parking for all 3 groups participating, followed by a full day of practice for Road Race and Mfg Cup Dec 28, while Speedway Dirt will begin Race Day #1. National competition for the Road Race and Mfg Cup Series will officially kick into gear Dec 29th and 30th. Be sure and keep in touch with the World Karting website for weekly updates, as the latest edition of Daytona KartWeek nears.